With over 30 years of experience in construction, carpentry, photography, and engineering, Ed took the plunge in 2015 to launch SpeedPro East Bay. The combination of skills he developed throughout his career made him a quick study for the large-format business. In addition to his professional career, Ed has been very involved in his local community through both civic and sporting programs. 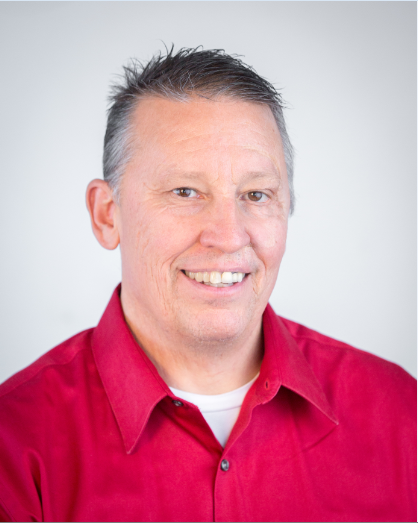 Ed is a member of the Kiwanis International and has served on the boards of Alameda Little League, Soccer and Lacrosse Clubs and also a co-founder and board member of Alameda Futsal Club. Ed has also served as a scout leader for Cub Scout Troop 1015, as well as in various PTSA roles for two of his three children’s schools in Alameda. Currently, Ed is the President of the Greater Alameda Business Association. As a Bay Area native, Nicole attended California State University East Bay and in 2015 received her B.A. in Communications with a minor in Psychology. 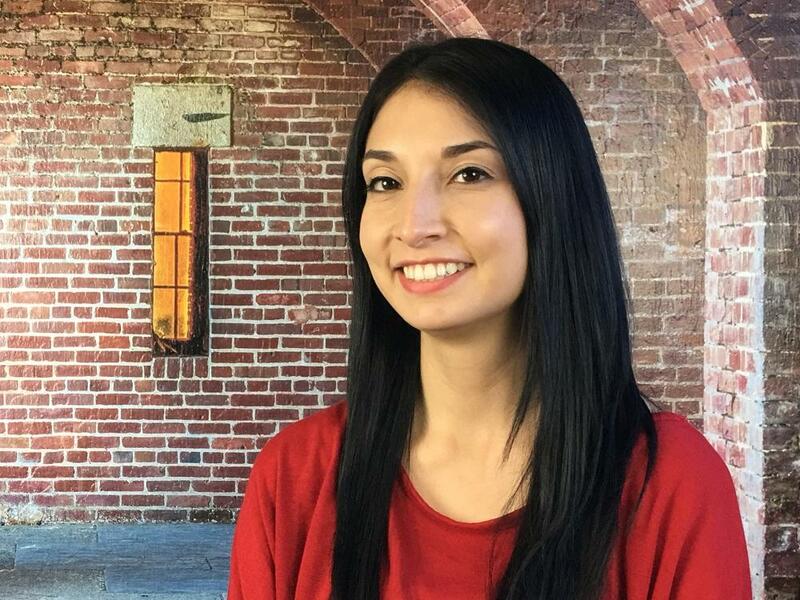 In 2016, Nicole joined the SpeedPro East Bay team as the Marketing Manager. Today, she is the Director of Operations overseeing production scheduling, marketing, and project management. She enjoys utilizing her many years of sales and communication skills to work individually with clients and make their visions a reality. 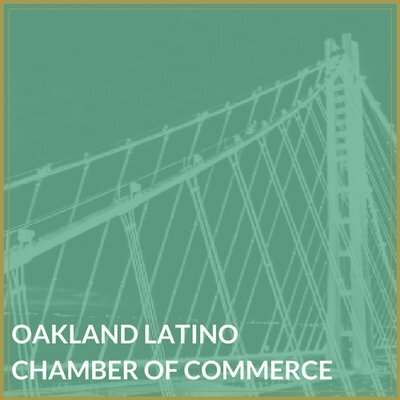 She is also active in the Alameda community and is an ambassador for the Alameda Chamber of Commerce and works closely with the Greater Alameda Business Association. When she isn’t in the office, Nicole enjoys anything active outdoors from hiking, wine tasting, beaches, and just exploring the beautiful Bay Area with her fiance. Suzy was born in SF, raised in Reno Nevada and living in the Bay Area since Fall 2016. As a Native Northern Nevadan Suzy grew up appreciating hiking in the Sierra Nevadas, and camping. She studied Graphic Communications and Anthropology in Reno and has a background in print production, graphic design, and customer service. 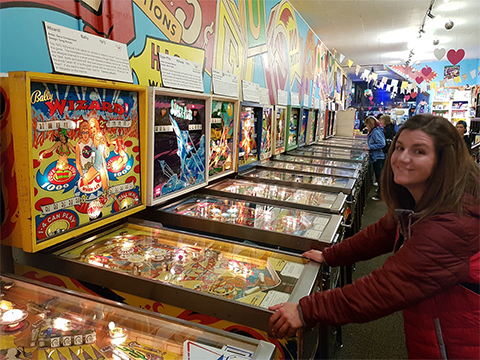 Suzy recently earned a certificate inMuseum gallery and Art studio studies from CSU East Bay because of her interest in Anthropology, Art, and History. In her free time, she enjoys arcades, going to the beach, hiking/camping, and listening to random genres of music (but loves the 80’s). 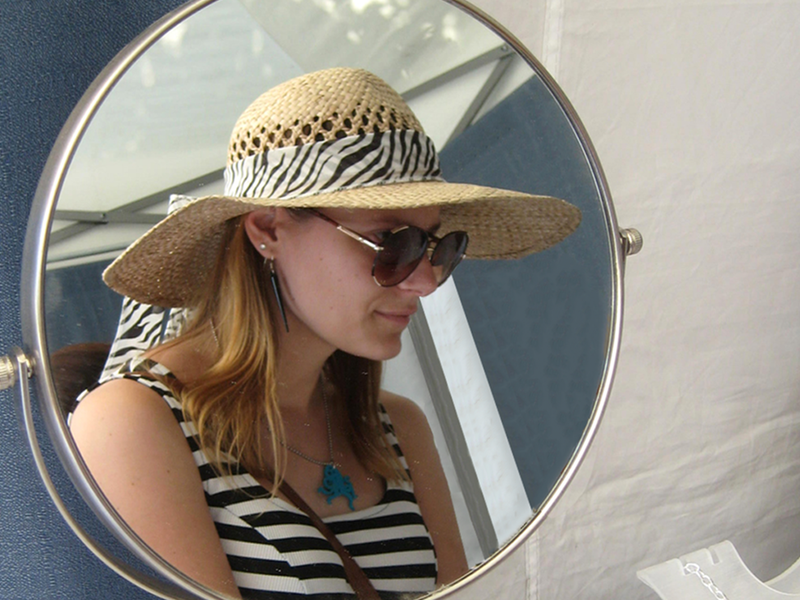 Becca Clore is our newest Production Assistant. She has over 5 years in sales and service and attended Ohlone College. She helps out with finishing projects including cutting, weeding, masking, and laminating as well as installs that come into our studio. She is also our friendly delivery person that we can count on for any quick jobs. 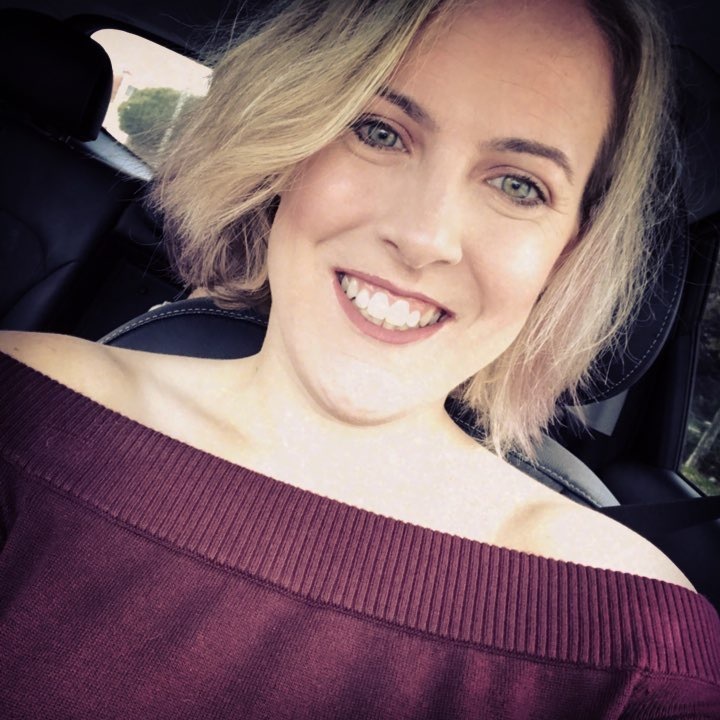 While she is not working at SpeedPro East Bay, she enjoys going to sporting events and concerts as well going on hikes with her two-year-old dog. With over 4 years as an independent contractor, Ross has been installing for SpeedPro East Bay since our early days and about 3 years now. 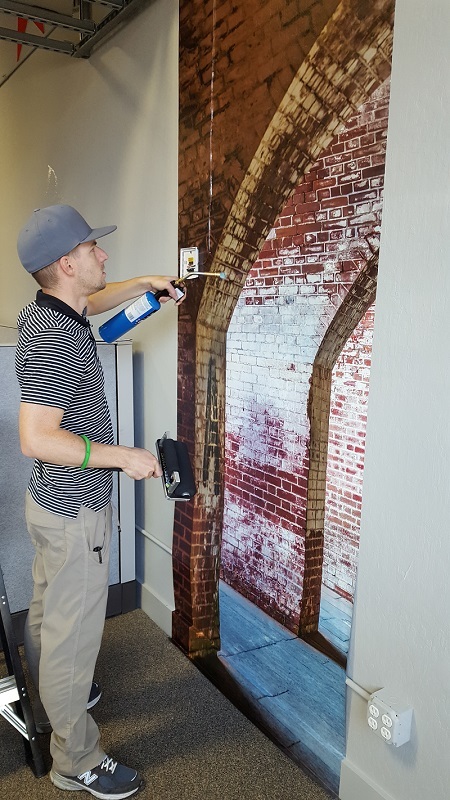 From installing vehicle wraps at our studio to wall murals at museums and corporate offices, Ross has the experience that is flexible to adapt to any environment. He can take on any installation with a professional attitude and little to no disruption to the surroundings. You can trust that Ross will show up at the install site and understand your needs keeping a clean and safe work space. Starting in 2007 as an independent contractor, Justin has been installing for SpeedPro East Bay for about 2 years. 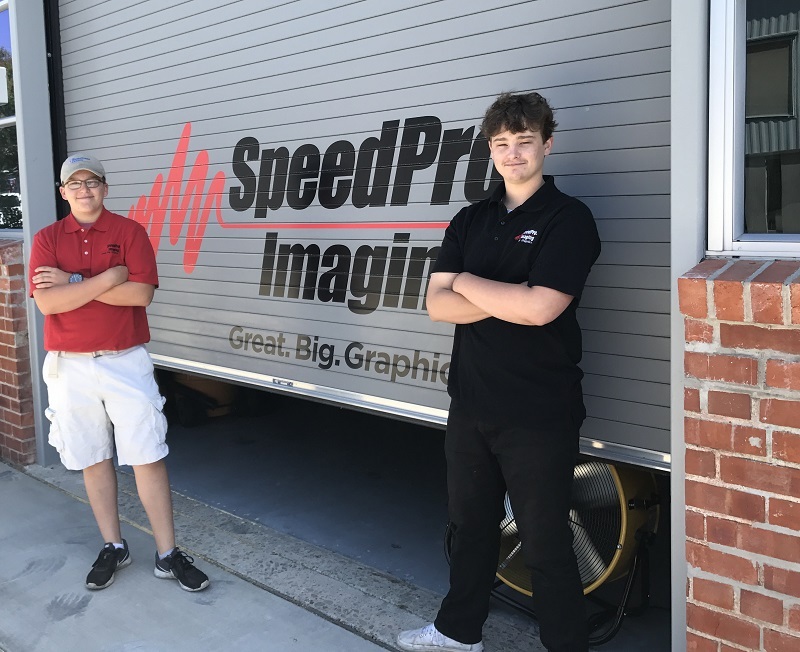 Working with small businesses to large corporate clients, Justin’s specialty is in installing large graphics and his many years of experience allows him to get jobs done quickly and efficiently with a quality result. Oakland-based artist Elizabeth grew up in the sign industry and has branched out over time into a multitude of creative outlets. She attended UC Santa Cruz and graduated with double bachelor’s degrees in Studio Art and Literature. In addition to the production, and installation work she does at SpeedPro, Elizabeth is a traditional printmaker, painter, and maker with a studio at American Steel Studios in West Oakland. She is a Bay Area native who can usually be found creating something, whether it be signage, prints, or silly autobiographical comics about her day. Richie & Lewie Owens are our part-time helpers and also sons of Ed. Richie is a first-year student at UC Santa Cruz and Lewie attends Humboldt State. They assist with all table work from laminating and cutting to weeding and minor installs. Their attention to detail is important in achieving a high-quality final product with no errors.